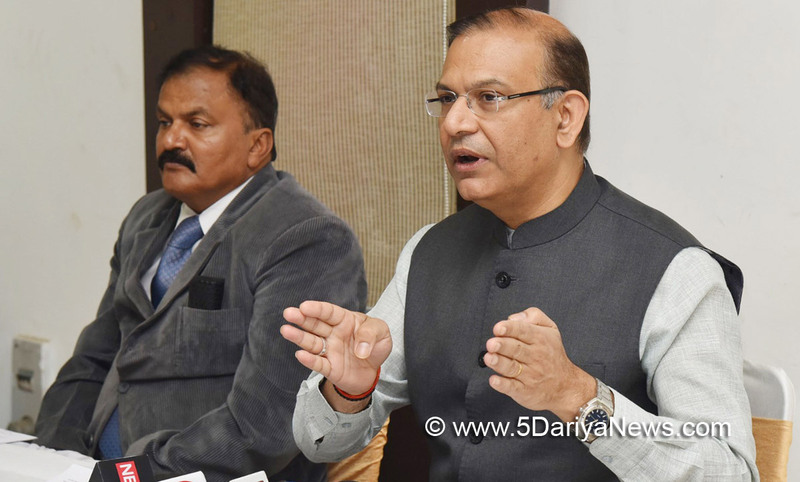 The central government plans to divest its stake in the national passenger carrier Air India by this year-end Minister of State for Civil Aviation Jayant Sinha said on FridayThe bidding process is expected to be finished by June, by when the winning bidder will be chosen, and all the "legal formalities" will be completed by December, Sinha said.As per the plan, the Air India group will be divested as four different entities and that the "information memorandum" will be issued in sometime.Speaking a day after the Union Budget for 2018-19 was presented, Sinha said: "Information Memorandum will be out soon... We plan to decide on the winning bidder by June and the legal formalities will be concluded by December this year." In his Budget speech on Thursday, Finance Minister Arun Jaitley said: "The government has also initiated the process of strategic disinvestment in 24 Central Public Sector Enterprises. This includes strategic privatisation of Air India." On the other key issue regarding the exact debt level of the airline and the ways to deal with it, Sinha said that it is being looked at by a ministerial group -- Air India-specific Alternative Mechanism -- headed by Jaitley. Apart from modalities surrounding the divestment process, the ministerial group has been mandated to decide on key issues such as treatment of Air India's debt and hiving-off of its assets.The airline is under a massive debt burden of around Rs 50,000 crore (around $8 billion). The national carrier got a new lease of life in April 2012, when the then UPA government approved a Rs 30,000-crore turnaround and financial restructuring package spanning up to 2021.In 2018-19, budgetary support of Rs 650 crore has been provided to the national carrier on account of its turnaround and financial restructuring plan.The airline has also been allowed to raise Rs 506 crore through IEBR (Internal and Extra Budgetary Resources).Further, Sinha said that the a foreign airline has formally shown interest in Air India, but did not disclose its identity.On January 10, the union Cabinet had decided to open up the national carrier for foreign direct investment (FDI) up to 49 per cent under the approval route.